I think they boast of at least 5,000 stores, which in my opinion is way too many in this day and age and essentially amounts to an overextended electronics empire. If one were to think about how RS can adapt and survive, the example they should look to is Redbox. Video stores went bankrupt because the product they served no longer constituted an entire store. Everything could be rented online through Netflix or streamed on demand. Yet for those who would have preferred not to wait for dvds in the mail, or didn’t have a connection or screen resolution capable of streaming… along came Redbox. Everything that was once handled by a 10 employee, 2,000 square foot storefront, could now be streamlined through an unmanned vending machine outside one’s local circle K. Such could be the case with Radioshack. I’m not saying they should close all their stores,but there is no reason for them to maintain 5 or 6 stores in a given city. My feeling is that they should keep the most profitable 1,500 stores as well as low rent/low risk outlets in places like the south(where people are still more inclined to purchase from a local outlet.) The everyday items RS sells like batteries, cables, wireless accessories, could be sold in RS vending machines dispersed throughout cities. I’m not suggesting they fill these things with capacitors and robotics components. Those items should still be sold at the regular stores. People would be willing to drive a small distance for these, so long as there is still a shop or two within the city limits, people will still make the trip. Secondly, they should resurrect their “Realistic” brand and sell vacuum tubes and other such equipment. 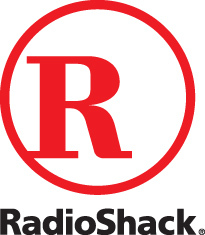 Radioshack seems to have abandoned this market right when it is making a big comeback. I’ve been to CES 4 years in a row, and there is big money in the high end audio market. It is not a huge market share, but if we’re talking about reducing the amount of physical storefronts, this can be offset by improving the quality and expanding the product offering. Money saved from closing physical stores can also be spent promoting the RadioShack.com website and boosting online sales. Dollars normally spent on keeping a physical store open can go a long way in online marketing. Also, I know most people hate it, but I kind of like their decision to rebrand themselves “The Shack.” It really is annoyingly catchy.